The for-profit college sector is having a tough year. Enrollments are on the decline after years of sustained growth following the Great Recession. Corinthian College shut down, and the Department of Education said that it will erase the debt of some of its graduates and former students who say they were defrauded by the organization. 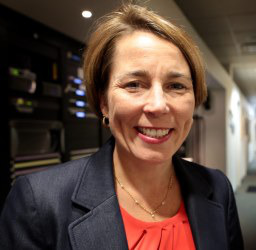 Two for-profit colleges in Massachusetts, Kaplan Career Institute and Lincoln Technical Institute, will pay back $2.3 million to hundreds of students, Massachusetts Attorney General Maura Healey announced on Thursday. Both colleges were overstating their job placement rates and pressuring students to enroll. Kaplan will pay back a total of $1.375 million of the federal student loan debt of graduates of its medical vocational program. All Kaplan Career Institute schools in Massachusetts shut down in December, and under the agreement, Kaplan will have to notify the AG’s office before reopening any of their campuses in the state again. Lincoln Technical Institute will pay back a little more than $1 million in federal and private loans that graduates of the school’s criminal justice program took out. According to a statement from the AG’s Office, the school was counting graduates’ temporary, part-time and retail jobs in its job placement rates, leading prospective students to believe that job placement rates in the criminal justice field were much higher than they actually were. The settlements do not apply to students who were enrolled in the program and dropped out or did not complete their degrees, a representative of the AG’s Office said.